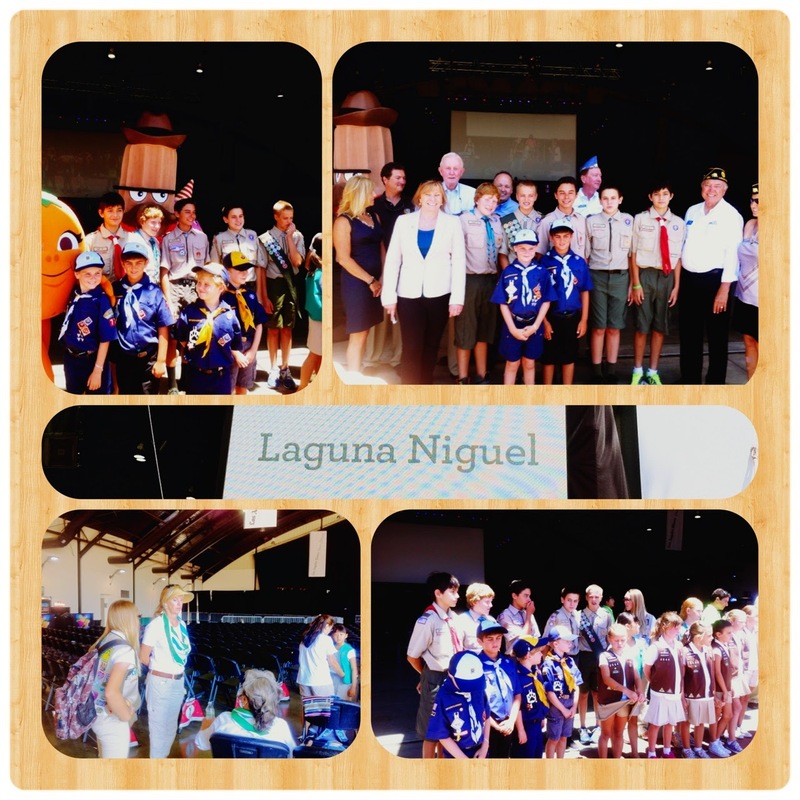 Today was Laguna Niguel Day at the Orange County Fair. Member of the City Council, the American Legion Post 281 along with Boy Scouts, Cub Scouts, Girl Scouts and Community Members joined the opening ceremony at 12:30 PM sharp and thereafter went out to join a day of fun and excitment at the Fair with fun rides and an opportunity to visits the Vendor Pavilions as they showcased some rather interesting and exciting products on display. It was quite a hot day--and the Cooling Stations were quite a welcome site for all the patrons. It will continue onward through August 10.